Brandcenter students who participated in ‘Project Holiday’ with experience design professor Andrew LeVasseur, far right. 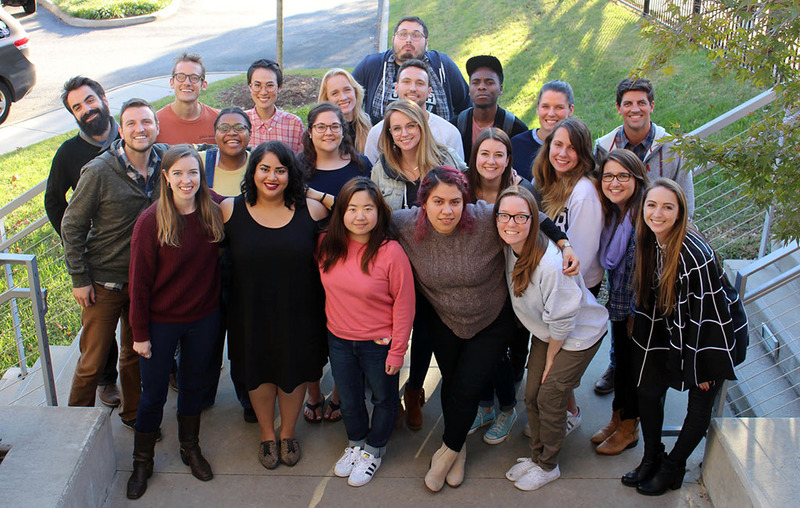 First-year experience design students at the Brandcenter participated in “Project Holiday,” a “Project Runway”-inspired holiday window display competition sponsored by Westhampton Merchants Association. Each student decorated a storefront window for at least one of 28 participating merchants, in addition to branding work for the inaugural event. The displays were unveiled Nov. 24 and will stay up through the holidays. The American Marketing Association’s Richmond chapter added eight new members to complete its board membership for 2017-18. New members include: John Moreland, secretary; Karen Hester of Allen & Allen, vice president, engagement; Jessica Van Lear of Markel, VP membership; Patty Sager of Williams Mullen, CMO roundtable director; Jane Broadbent of Barber Martin Agency, education director; Laura Elizabeth Saunders of The Hodges Partnership, PR director; Amanda Colocho of Hodges Partnership, social media director; and Katie Brackmann of Allianz, website and digital director. Addison Clark created a website for Ron Jessup DDS. 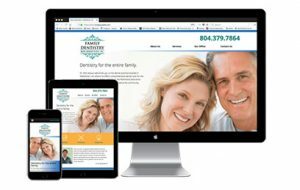 Addison Clark launched a new mobile-responsive website for Ron Jessup DDS, a family dentistry practice in Midlothian. Commonwealth PR launched a new website. The site was built in-house by agency staff and Brady Clem, a summer graphic design intern who got the agency started on the process. Wildfire has established a local office at 1401 E. Cary St., where it shares space with Feedback. The office is the agency’s first outside Winston-Salem, North Carolina. Barber Martin Agency released its latest campaign for Virginia Lottery. Called “Win the Holidays,” the campaign presents lottery scratch games as holiday gift ideas and includes two TV spots, two radio spots, a digital video, and outdoor, print and point-of-sale ads. The campaign involved video production work from MadBox and audio work from Red Amp.